Summer is definitely the time to bare our skin. I received a package from VEET so I decided to give their products a try. The package came in a really girly, pink box with a cute pink bow. 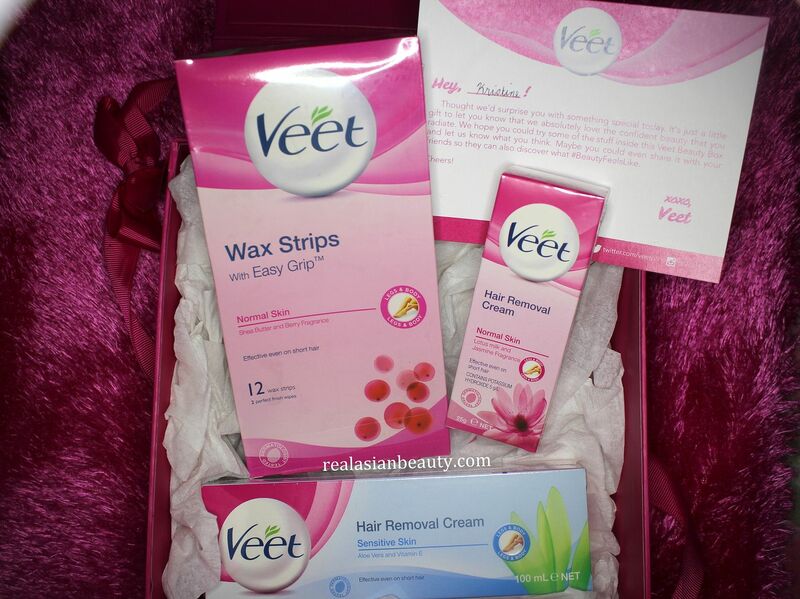 Inside the box were 3 variants of VEET products. Have I mentioned that I love receiving packages with personalized messages or those that have notes with my name written on it? It just means the sender gave extra time before shipping the parcel to me. I just love that! Anyway, I was never really a fan of hair removal creams. Nor am I a fan of plucking! (hehe) For me, the best way to get rid body hair is to shave. I like some things done fast, pain-free and easy. I used to think hair removal creams were ineffective and painful. 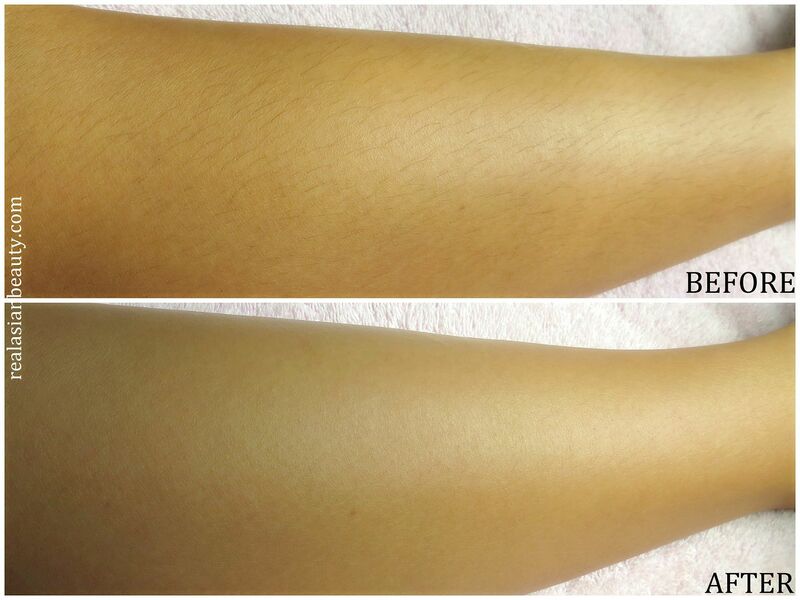 But then I tried the Veet Hair Removal Cream and found out that it is actually effective and it doesn't hurt. The first step is to apply some of the product on the curved part of the spatula. Using the spatula, apply generous amount of the cream on the area that you want the hair to be removed. Leave the cream on the skin for 3 minutes. Then, using the inverted part of the spatula, scrape the cream upward and see the hair get removed easily without force and pain! 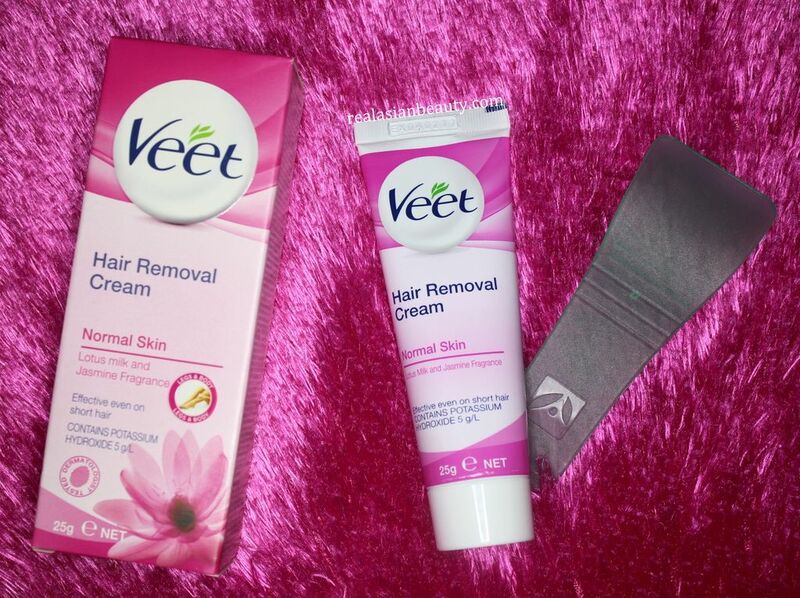 I was actually impressed and amazed how well this VEET Hair Removal Cream works! When I was younger, I tried another hair removal cream brand but it didn't work and just left my skin feeling itchy.  The VEET cream did not irritate nor hurt my skin. 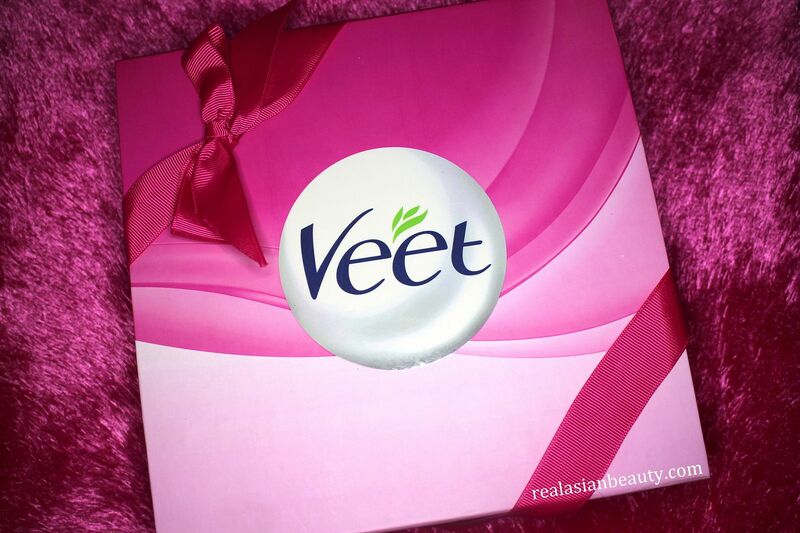 Here's how my skin looks after using the VEET Hair Removal Cream. 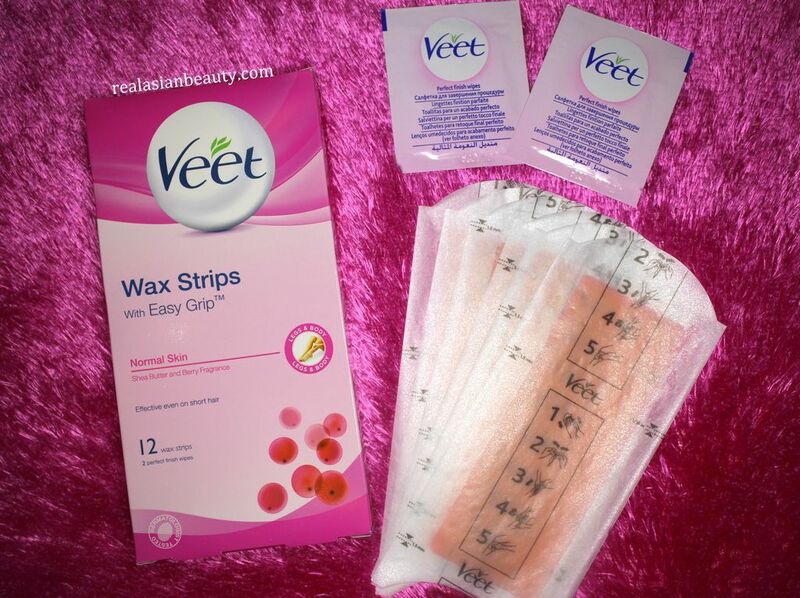 Then, I tried the VEET Hair Removal Wax Strips. Unlike the cream, this product disappointed me because it didn't work and just left the sticky gel on my skin even after washing it for many times. I don't know if I just used it incorrectly or it's just not effective. The part that I hated the most was the gel that it left on my skin. You can still see the sticky part of my skin on block 6 below. 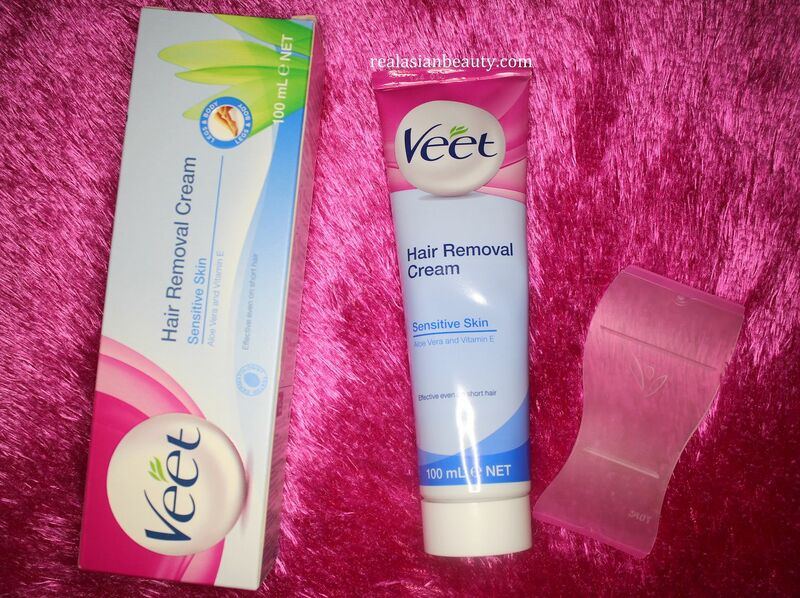 Overall, the VEET Hair Removal Cream is a nice and effective product and I recommend it especially to people that are are looking for better ways to remove body hair other than plucking or shaving. I also love how my legs feel smooth after using the cream. Unlike the stingy feeling that shaving (or plucking) gives. It's also nice that this product is not expensive so anyone can afford it. However, I do not recommend that wax strips because it was painful and downright ineffective! Both of the products fall in the same price range so I suggest going for the hair removal cream instead. I hope you found this product review helpful!